Description Enter the world of Tiny F1. Race tiny racing cars around various tracks and finish first to unlock the next race. The higher you finish, the more money you earn to help pay for upgrades to improve your car. 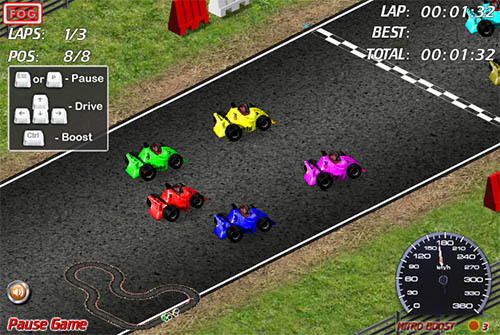 Controls Use your arrow keys to control your Tiny F1 car. Cute isometric racer with tiny F1 cars, upgrades and stuff.